This occurs even when you right click the Management Shell’s icon and run it using “Run as Administrator”. There is a way of getting past this, and the solution is quick. runas /user:yourdomain\youruser /savecred "C:\Windows\System32\WindowsPowerShell\v1.0\PowerShell.exe -NoExit ‘C:\Program Files\Common Files\Microsoft Shared\Web Server Extensions\14\CONFIG\POWERSHELL\Registration\\sharepoint.ps1^’"
As usual, before running any script, evaluate well. The script will not run unless you modify and adapt it to your needs. Do always execute on a test environment first in order to avoid unwanted side effects. I will not take responsibility for any damages done to your environments, be it developer’s, testing or productive environments. You can download the script from SkyDrive, contained in a zip file. It is better than copying from a website, where the quotes are always messed up. Hope this was of help! 85 MB is simply too much for the above mentioned settings. Now, the solution section will show you how to fix this. First, you must increase the SharePoint 2010 upload limit. Now, the web app is equipped for receiving large files, but IIS7 will still prohibit it, resulting in the same error message as above. So, let’s move on to step 2. In our case, we’ll simply put 200x1024x1024=209715200 bytes. You will receive a confirmation message after applying the command. Please bear in mind that you will need to run the cmd.exe in administrator mode. One more thing to keep in mind is the connection timeout settings: When you upload large files, depending on your connection speed it can happen that the connection times out. If you want, you can increase the connection timeout to a larger value. The standard is 120 seconds. This step is optional, but can become required if you have users with low speed internet connections. This is it – all done! As usual, test any commands, configuration and settings on a test environment before applying them in production. Applying request lengths bears also some security implications to keep in mind. Use any advices and configurations at your own risk and evaluate risks before applying them. Have a nice day and best regards! I encountered a problem during the installation of the prerequisites of SharePoint 2010 Enterprise. The installation of KB976462 failed, and so would eventually the whole prerequisites installer. The error message pointed me to the log file. 2012-01-11 16:07:23 – Size of download of "Hotfix for Microsoft Windows (KB976462)" in bytes is "4331740"
2012-01-11 16:07:26 – Error: The tool was unable to install Hotfix for Microsoft Windows (KB976462). 2012-01-11 16:07:26 – Options for further diagnostics: 1. Look up the return code value 2. Download the prerequisite manually and verify size downloaded by the prerequisite installer. 3. Install the prerequisite manually from the given location without any command line options. Choose the “x64” version of the msu file. Save it to a local directory: I used here C:\Installation\KB976462. All done! Re-run the prerequisites installer – it should finish with success, as expected. Hope this was of some help! Please note the slight watermark – I am testing another recording software, so in future there will be no more watermark. Purpose: Creating sites in different languages than only the originally installed SharePoint Server 2010 language. IMPORTANT: Do not execute these steps without prior consulting your administrator and plan for downtime. There will be a service disruption when running the Products Configuration Wizard, where your SharePoint Contents won’t be accessible for some time. Please bear that in mind before executing any of the above mentioned steps. Enjoy and stay tuned till the next time! SharePoint 5: Want to Learn SharePoint 2010 in 5-10 Minutes’ Chunks? it is my pleasure to announce a new initiative of communicating SharePoint knowledge via videos using the “SharePointFive” approach: Show how technical configurations are done within only a few minutes (guideline: 5 mins per video, up to a max of 15 in special cases. 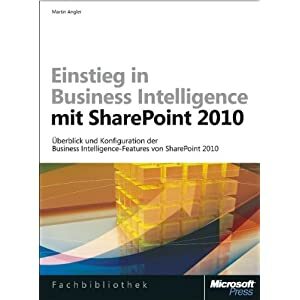 If you want to learn about SharePoint 2010 configurations, but only want to invest a few minutes at a time, if you are looking for the essentials that make up what you actually want to do, then SharePointFive is for you. SharePointFive is a youtube channel, that you can access under the below mentioned URL. It contains all videos (currently 1 only :-)) that have been and will be published, showing how to apply SharePoint (or related) configurations in just a few minutes. Usually, like in this case, there will be published a related blog post on angler.wordpress.com, in order to facilitate it for you to copy scripts and apply them. The video will give you an idea of the steps to be executed, a few caveats. But most of all, it is only a few minutes long and won’t take a long time to watch. This first episode of SharePointFive is a bit longer (about 12-13 minutes), since it contains also the explanation and motivation why SP5 has been launched. Consult your DBA before applying any changes to the SQL Server Instance, like running the beforementioned scripts. It is your responsibility to inform yourself about possible side effects that are not reported. Usually, Technet and MSDN are good references for complete documentation of the concepts shown. Stay tuned till the next episode of SharePoint 5 and enjoy! The manuscript is finished and submitted! Now I’m waiting for feedback, and certainly some corrections will be made. However, the big stuff is done. Last month of writing: 03.00 a.m. It was a great experience to write the book and I had the chance to take a 4 month intensive course in specializing on selected topics. However, now I’m really looking forward to increase my sleeping again back from 4.5 to 8 hours!